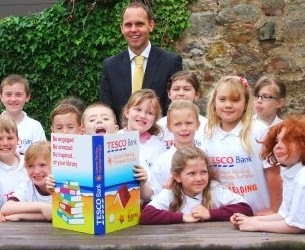 Mythical Maze, this year’s summer reading Challenge and sponsored by Tesco Bank will be launched on 13th June at Musselburgh library. The aim of the summer reading challenge is for children to read six books from their library during the summer holidays so their reading skills don't take a dip over the summer holidays. Children will be introduced to fantastical creatures from the world of legend and mythology, collecting stickers of each character and other incentives along the way. Children completing the Challenge receive a certificate and a special Mythical Maze Medal. There is also a programme of activities in every library in east Lothian. To sign up for the challenge go to any library in East Lothian.